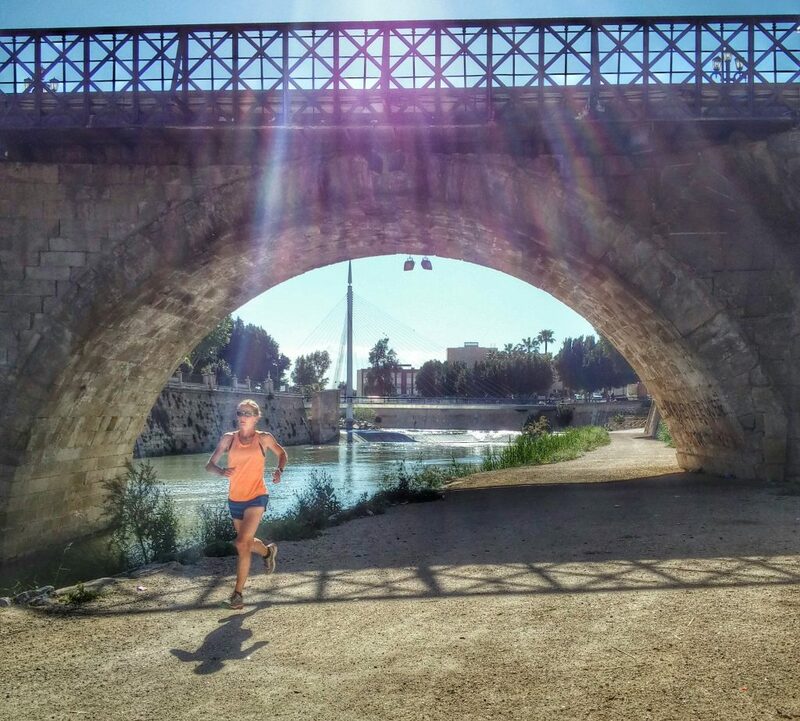 We first discovered Murcia in 2016 when we were looking for a pre London marathon training location in the spring. Since then we’ve been back twice and we absolutely love the place. 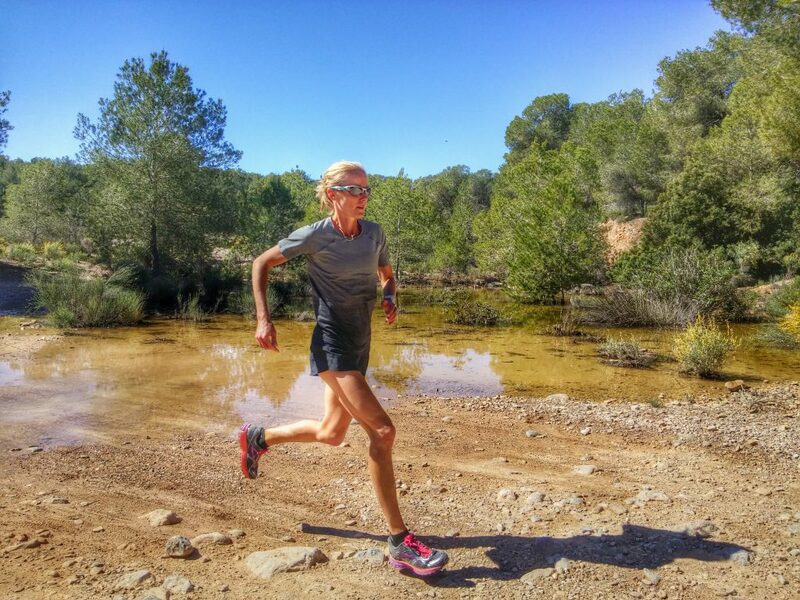 The trails are great, it has some of the best “tempo” running locations we’ve ever used and the weather is always very nice, warm and sunny with very little wind. 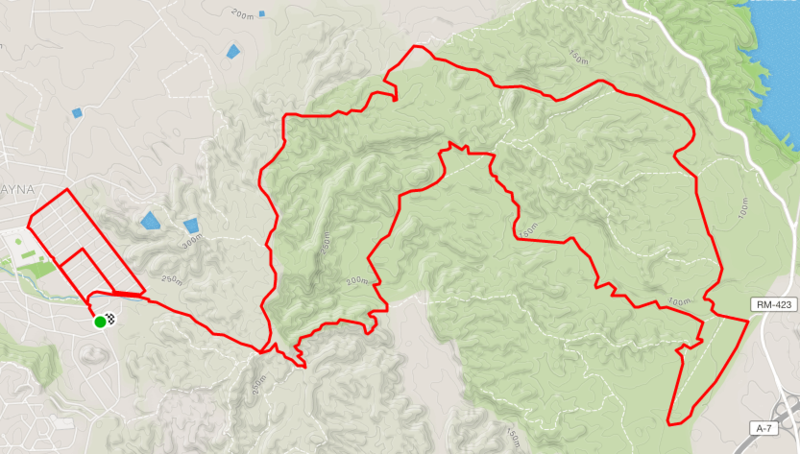 Here’s a runners guide to the place we’ve put together. If you need any more info, just e-mail me. 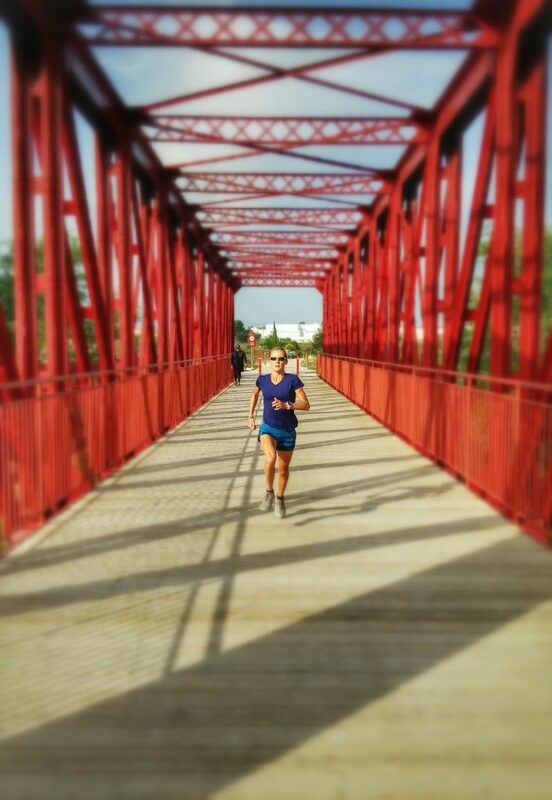 We first discovered Murcia from looking on Strava heatmaps to find long, flat, uninteruppted river paths where we could perform our final few marathon tune up tempos. 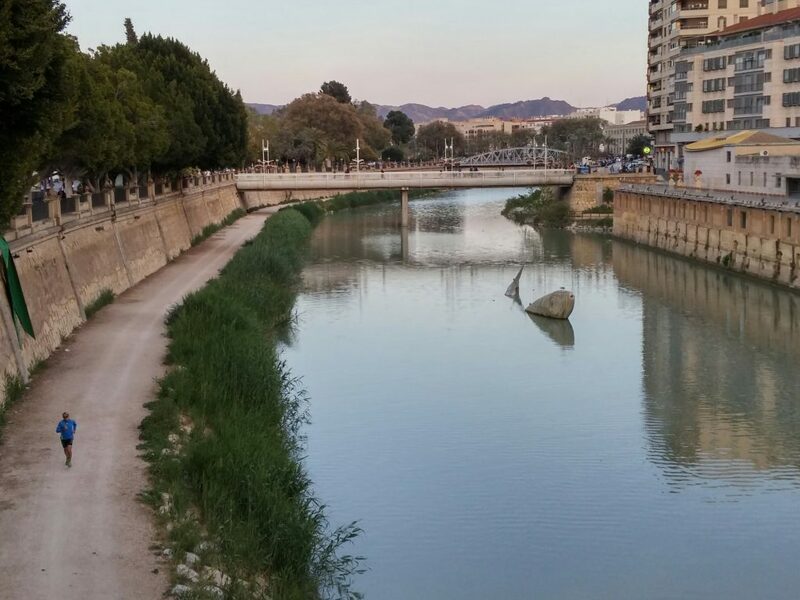 Further investigations using Google maps, street view and Strava segment analysis didn’t disappoint – the main path along the Rio Segura is perhaps the best place we’ve been for this type of work. Even trumps the Rio Grand path in Albuquerque due to it’s overall length. 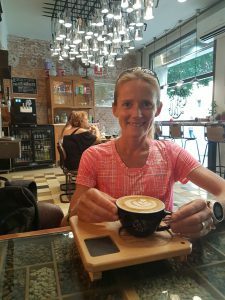 In addition there are quite a few other flat running options as well as a very quiet and picturesque hilly & forested area. All runs start within 10-15minutes drive of the city centre with minimal public transport so a car is almost essential. Below is a summary of the main routes we use. This is a hillier area just north of the city that is partly forested. The trails criss-cross the many dry ravines that dominate the landscape. The undulating and twisting nature of the near featureless terrain can make navigation quite difficult to start with especially with all the changes in direction. My advice would be either to take a phone with you (if there’s even mobile reception?) and or, just do short out and backs to start with until you get confident, reviewing your position once GPS data has been uploaded. Also, if you are there when it’s warm, take water with you – this place can be very dry and exposed. Surface is largely gravel paths ranging from small rocky affairs to larger sandier tracks used for occasional vehicles. The route I’ve listed below uses largely the latter as I prefer just being able to stride out without worrying about stones etc. Once you get towards the high point of the area, you will see the military lookout tower. I’m still not sure what they are looking for but it always seems to be manned with personnel actively scanning the horizon? Well worth a quick diversion to the base of it as the view can be quite spectacular especially in the evening when the sun will be behind you. There are two main options for start location. 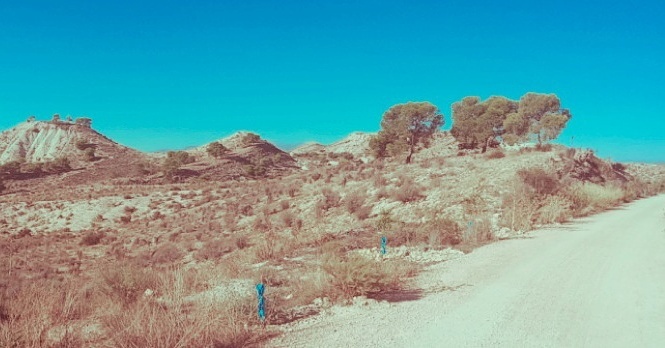 Either Option A in La Alcanya – perfect if you are staying here or in Altorreal or, if you are driving from Murcia, Option B start point is probably closer. The former is towards the high point of the area, the latter down at the bottom. So that’s also worth considering depending if you’d rather start your run in an uphill or downhill direction. 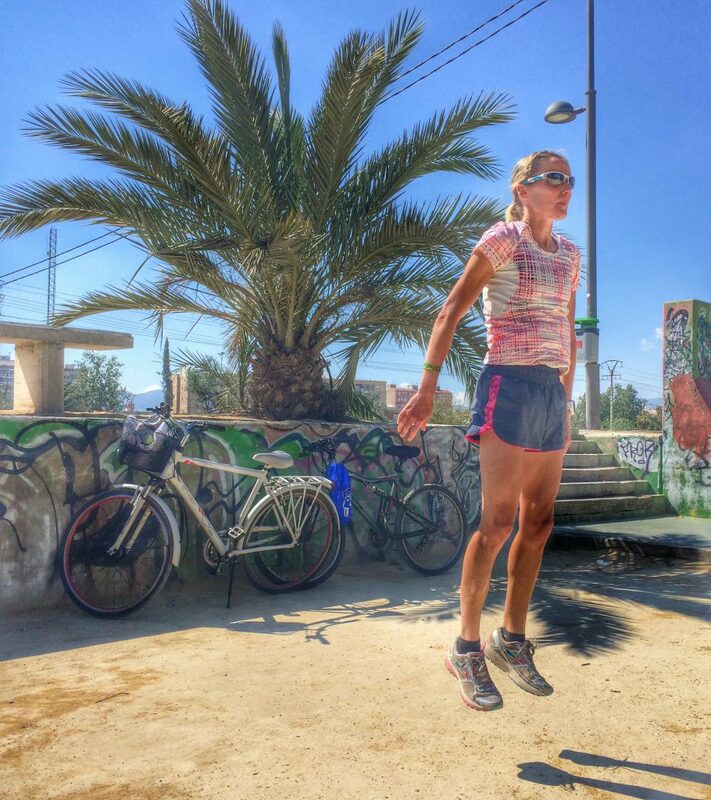 This is the world’s prime location for tempo running! A bold claim maybe, but try it for yourself. The river path itself runs for over 60 miles so you’re unlikely to run out of trail! From the city centre there are two 7 mile sections of the path which are one half tarmac, one half dirt (so up to 14miles tempo out and back). One of these sections heads out west from the western edge of the city (our favourite), the other out east from the eastern edge here. They are joined up by a 2mile stretch of hard packed dirt surface. At either ends of these 7 mile sections the path is also hard packed dirt. So, if for any reason, you need more than a 20mile tempo and don’t want to turn more than once, it’s more than suitable. Also the southern bank of the river has a hard packed gravel road running along it with very little / no traffic. There are various bridges that connect the sides along the length of the river in case you wanted to run loops rather than out and back. This is particularly useful if you want regular drink stops and, as you can also park right next to the path, your bottles can be positioned on your car bonnet/hood. Alguazas (our favourite). From here you will experience the most spectacular badlands scenery the trail has to offer. 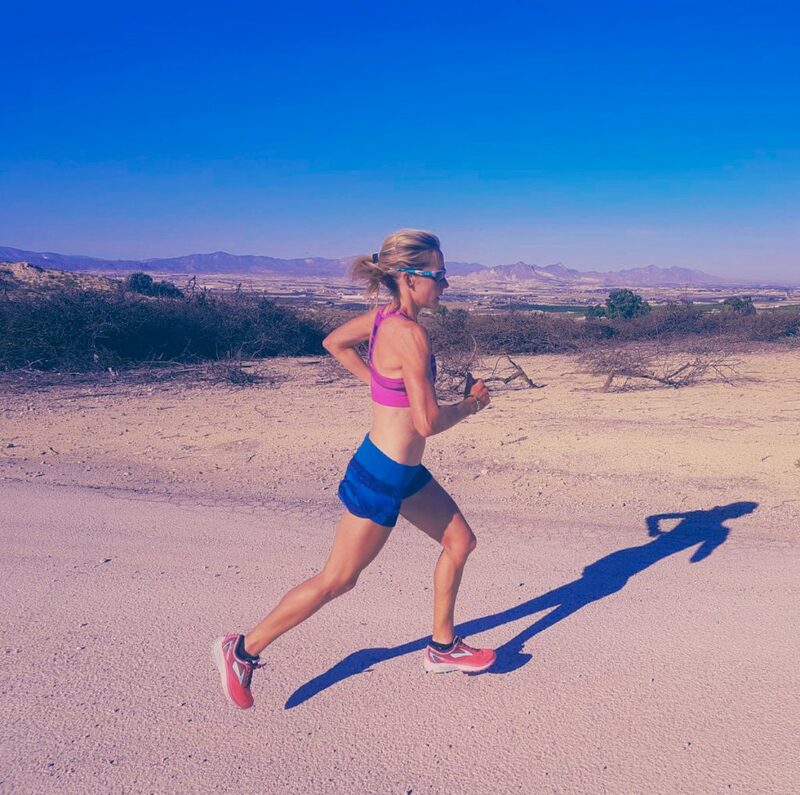 Head out west for an out and back run. Climbs gently for the first two miles then is largely flat (at least for the next 5-6 miles). All lovely hard packed gravel. Start at the same place you do for the Molina run here. Head out North/West but when you get to the red bridge after a mile, continue straight across it. After a further ¾ mile you will reach Alguazas train station where you have to negotiate the pedestrian bridge over the tracks. It then meets the option 1 start point. Head out from the very start of the trail here. 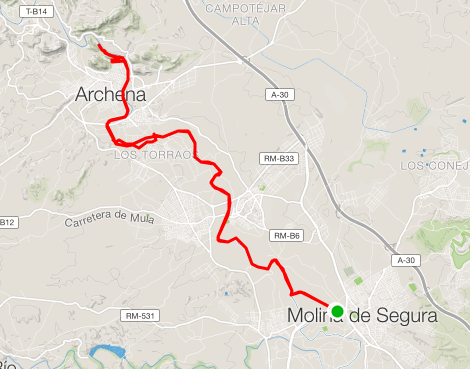 The first 2-3 miles are tarmac only and it quickly decends down towards Molina before flattening out. 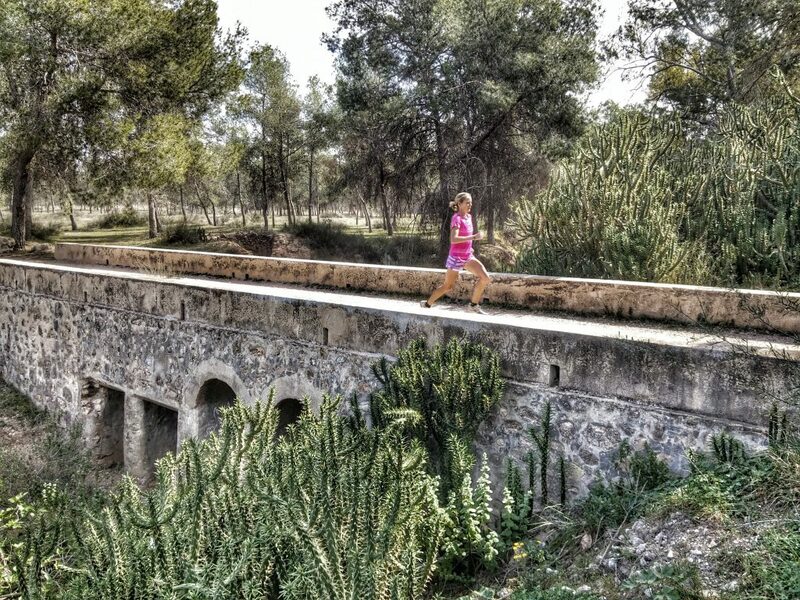 We’ve never explored past Campo Del Rio, but there’s always the option to start at any point along the trail e.g. 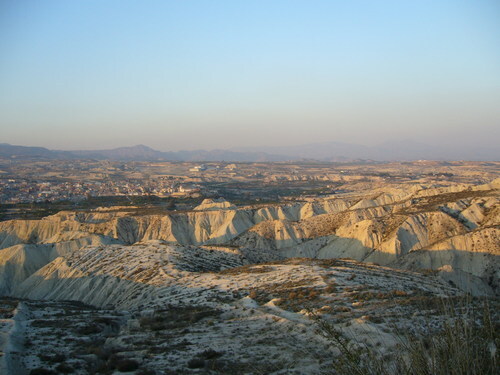 Los Rodeos, Campos Del Rio, Bullas or at the very end in Caravaca del a Cruz. Obviously these are all increasing distances to drive from Murcia itself. Distances The trail is 50miles long. Park at the Costto supermarket and head north west for one mile until you reach the red bridge. Immediately prior to crossing the bridge, either turn right to follow the Rio Segura in a northerly direction or left for south. 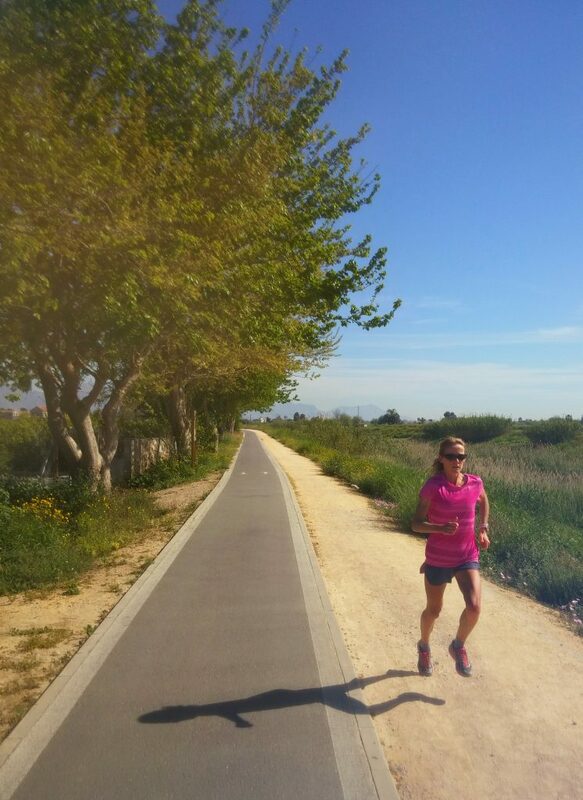 Both directions offer a really great hard packed flat dirt surface for many miles (south will eventually bring you to Murcia centre, the location for the Rio Segura tempo runs). If heading north , I’ve personally ventured out 10 miles before turning and the path is excellent all of the way. Google earth suggests it would continue at least for a further few miles uninterrupted. A novelty for the runs around Murcia but the start location also has a petrol station nearby here in case you need the loo! 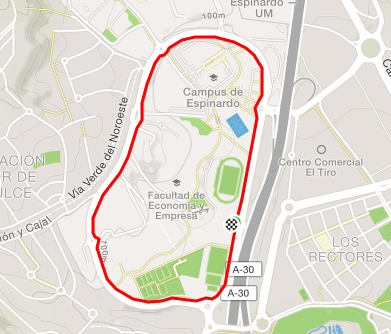 There are two tarmac loops round campus – one 2k and one 3km. Both are undulating on wide tarmac paths. 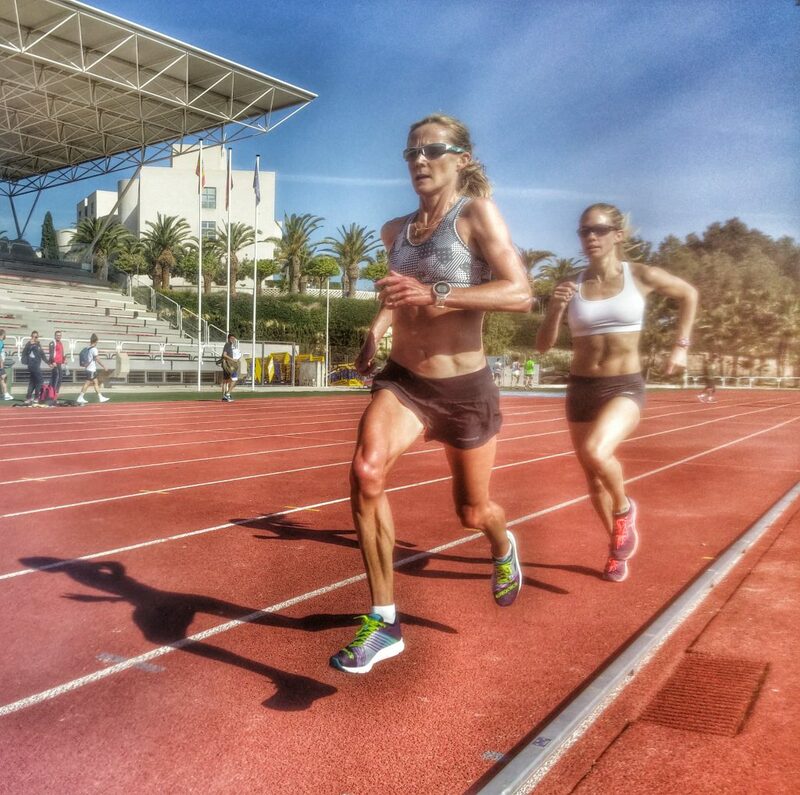 Ideal for warm up/cool down runs from the track and/or if you need to do any longer ‘tempo’ efforts at the same time as track intervals. 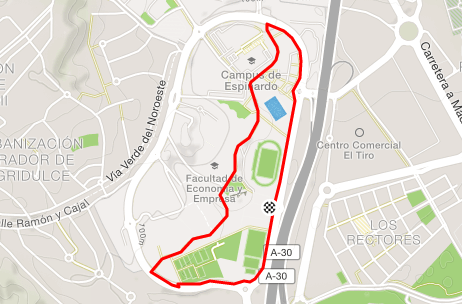 The Murcia region has many athletics tracks, however the main one we use is the Monte Romero Stadium which is located within the University of Murcia. It’s almost always available and is in perfect condition. 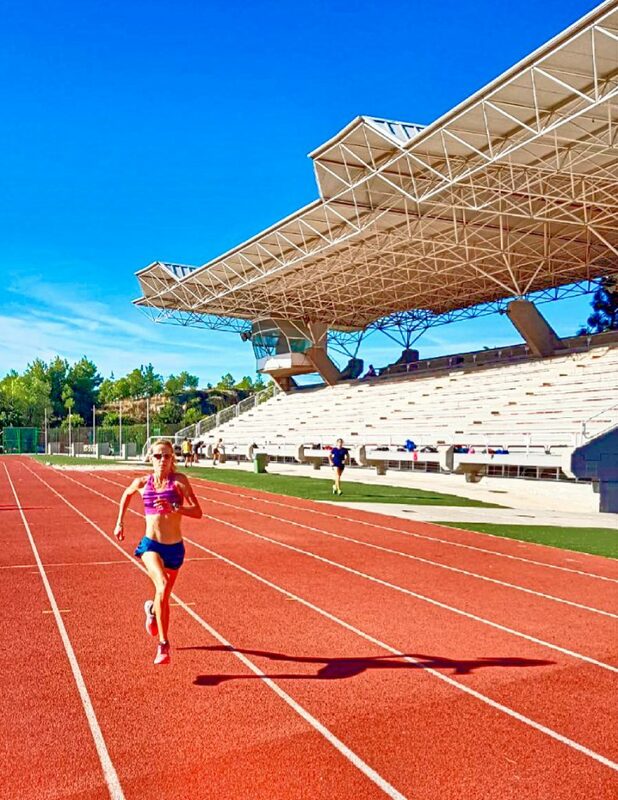 On occasions when it has been used, we have travelled 10 minutes further down the motorway to Alcantarilla where there is another great facility with a very cool 535m undulating warm up loop that would be perfect for winter intervals. Contact me if you want to get a good deal from some of our previous hosts. 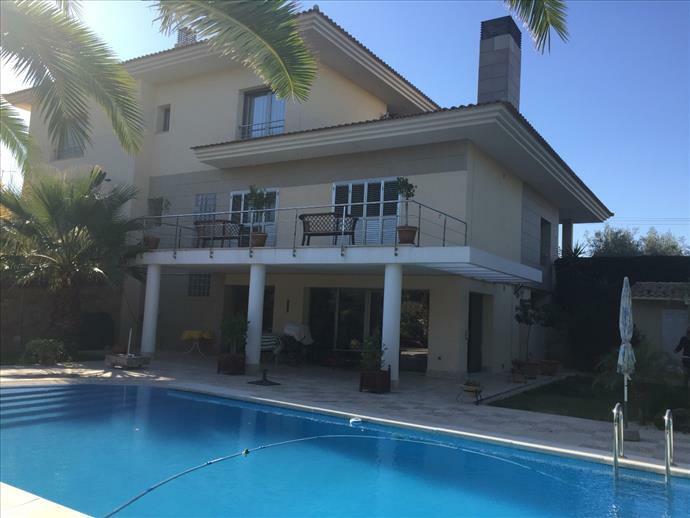 If you prefer to organise it solo I would personally recommend the La Alcanya & Altorreal areas. These areas contain the prime real estate of the region about 10 minutes drive north of the city. They are very quiet with good access to the motorway. You can also run straight on to Coto Cuadros. 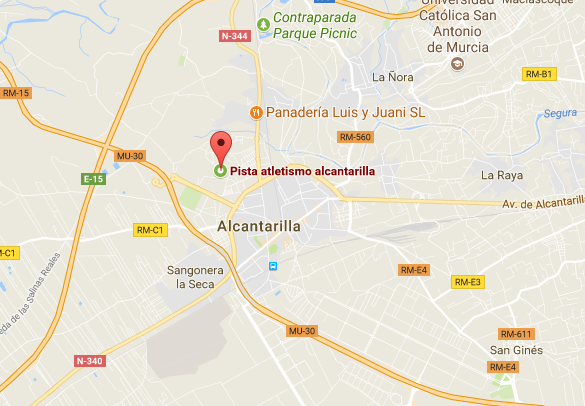 Previously we’ve also stayed in the El Puntal area of the city. This has good access to most places but little running options from the door. Llano de Brujas is another area we’ve stayed, it takes a little longer to get places but you’re right on the river. There are also few accommodation options available here. 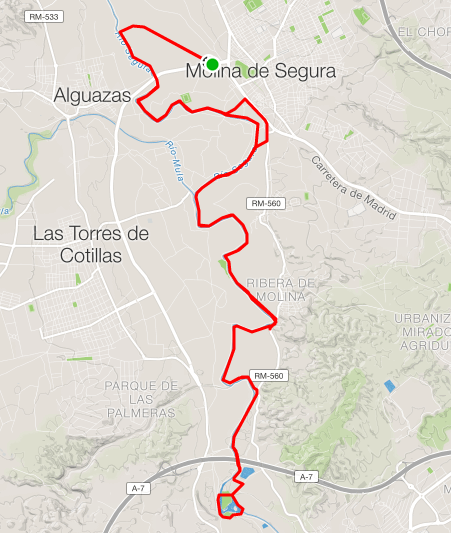 My other recommendation would be anywhere close to the Rio Segura (so you can run from your door) whilst being close to the two motorway corridors (running N-S on the western edge of the city & E-W on the northern edge) for good access to the other running locations. One of the key advantages with Murcia is the large demand for flights into the area. This means you can always find a cheap deal, cheap car hire and plenty of departure times and locations to suit your itinterary. 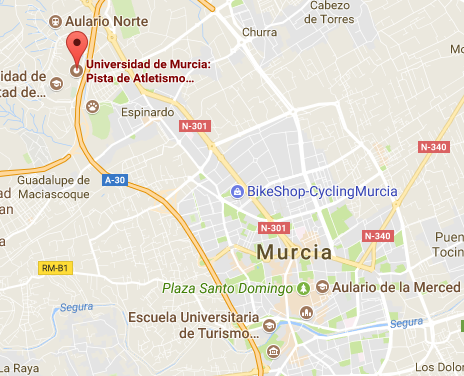 Alicante and Murcia-St Javier airports are almost the same distance from Murcia itself. Personally we always fly to Alicante due to the better and cheaper flight options. Check out skyscanner for the 100’s of daily flight options from the UK. 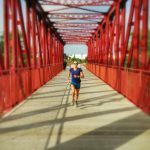 Public transport is not great with regards accessing the running routes, so a car is almost necessary unless you want to run the same place every day. That said, if you stay in the right location, it’s only 10-15minutes drive anywhere you want to go. 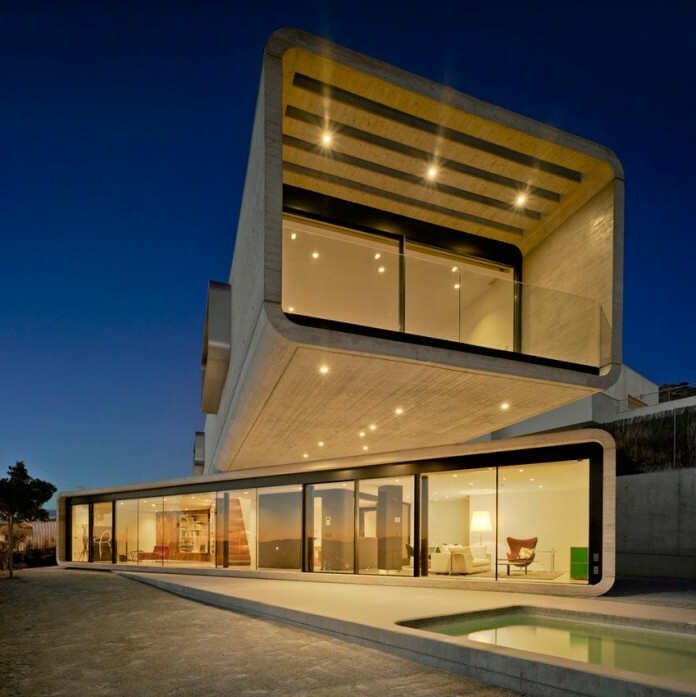 This is one of the biggest advantages Murcia has over other areas in the Mediterranean. 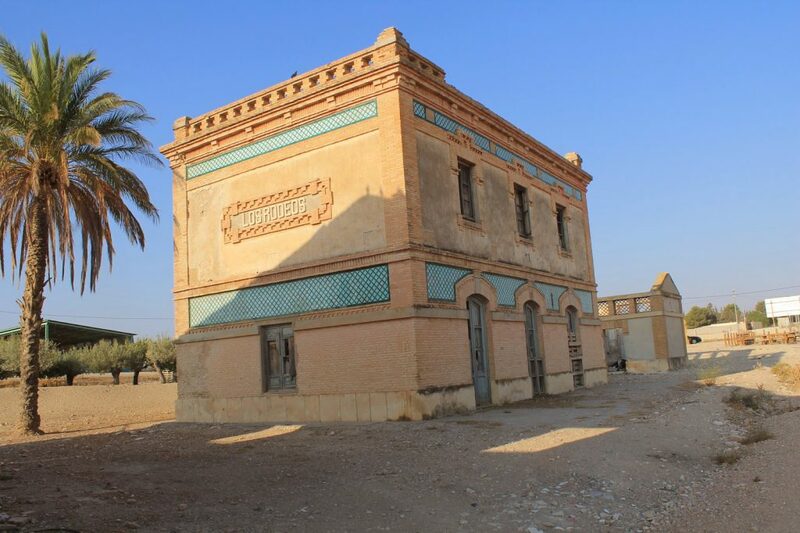 It’s one of the driest places in Europe (part of the region is officially classified as desert – the only such area in mainland Europe) and has very good temperatures year round. That said, I would very much advise against July & August as it’s just too hot. 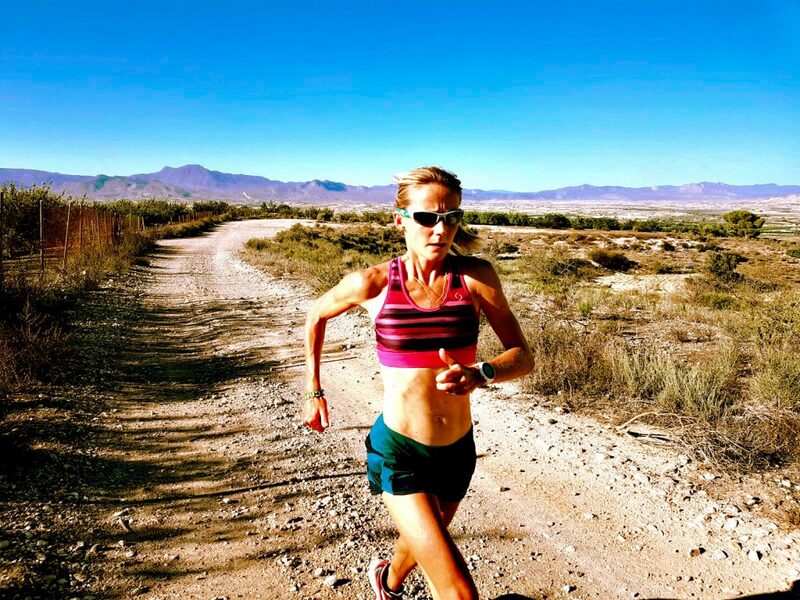 We’ve been there in early September which is still hot, but no problem if you like it that way and if you are prepared to start your more intense workouts early. Temperatures in June & Sept start around 20C first thing in the morning and quickly rise to mid 20’s by 10am. 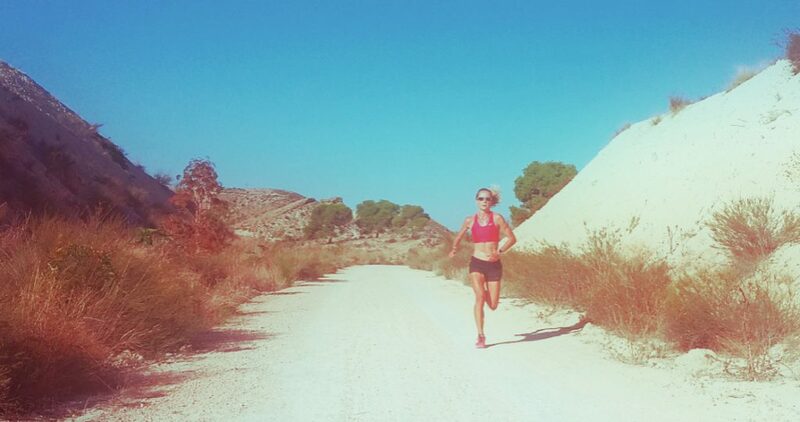 Afternoon runs sometimes have to be delayed as it can be over 35C still at 5pm! We’ve also been in March and April when it’s much cooler in the mornings but still t-shirt weather! January is the coldest month with mean daily maximums of 17C! 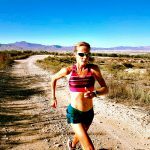 One final point on the weather – it’s about 30mins inland from the coast and thus rarely has any wind in the mornings – a runners paradise! It can get very hot & dry! The region is famed for supplying a very large percentage of European supermarkets with their fresh fruit and veg due to it’s exceptional year round climate. If you go at Easter time, the river paths take you though some amazing citrus fruit groves which smell amazing at that time of year. Eating out is very cheap. I would recommend anywhere in and around Plaza De Las Flores in the city but there are many good local restaurants too. Beaches – Calblanque is possibly the most beautiful, untouched beach in Mediterranean Spain. It’s in a protected national park so no development or buildings in sight. 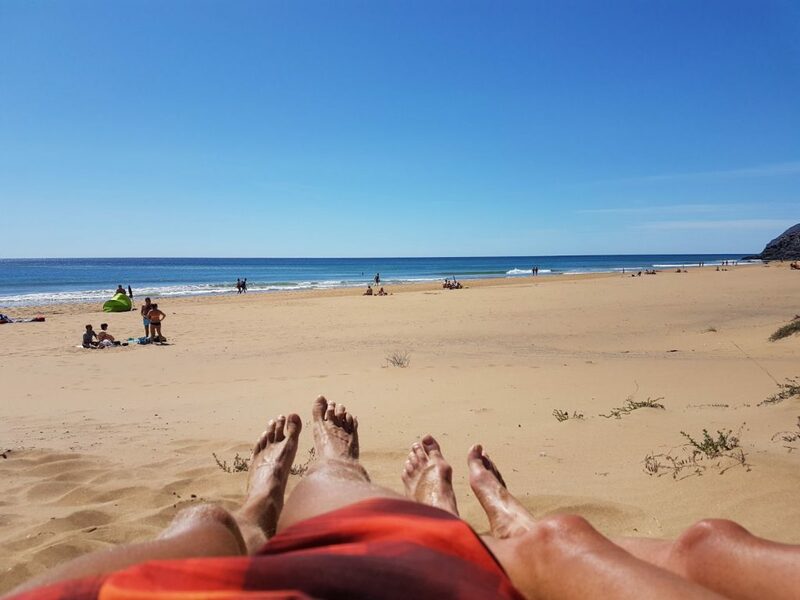 Calblanque – Spain’s most untouched beach?